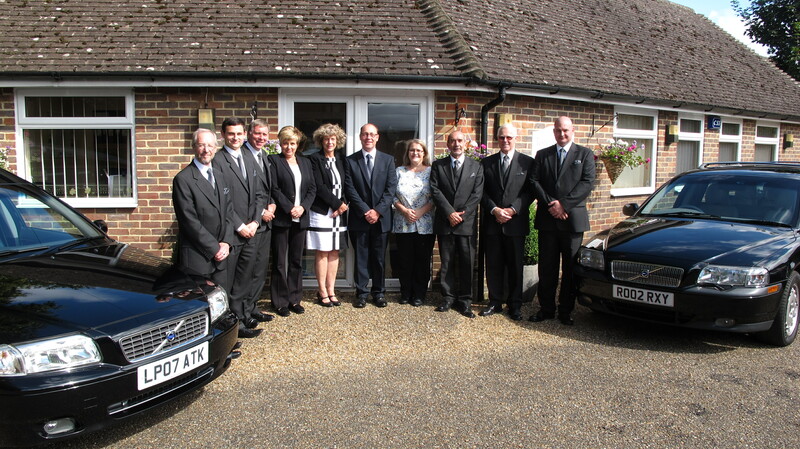 Since opening 12 years ago, Tester & Jones remain Crowborough’s only independent funeral directors, taking pride in delivering a personalised service for each and every family. Located on London Road, the bright and welcoming office has ample parking for visitors and clients and you know in advance that you’ll be dealing with owners Stephen Tester or Glenys Jones. There have been changes to the way funeral services are organised over the years and Stephen and Glenys are finding more frequently that families want to play a greater role in the organisation of services for their loved ones. Technology has also played a role in the changing face of funeral services with videos or podcasts becoming more common to be played during services. The idea of ‘celebrating’ the life of the deceased has meant families are opting for more upbeat services compared to what was traditionally a very sombre event. There are many more options available now to create a truly bespoke service and Tester & Jones are able to source almost anything that is required and very happy to work with customers who are looking to go down a more unconventional route. One of the big changes the industry has seen over recent years is the introduction of Funeral Plans, whereby you can pay and plan your funeral in advance. Over the next 10 years it is estimated that over 50% of funerals will be pre-planned. This means you can organise your funeral at today’s prices which gives you peace of mind as prices are always rising. Did you know the average price today for a funeral is £3.5k? It’s no wonder pre-planned funerals are growing in popularity. Five years ago Tester & Jones started a Bereavement Support Group so the support you receive does not simply end after the service itself. Adjusting to life without a loved one can be a very lonely experience for some. The group meet monthly at Barnsgate Manor and speakers and other activities are organised to help members through the bereavement process. With the support of other members who have also experienced loss, the group has been very much welcomed to those attending. Of course there is no pressure and it is just there for clients when they are ready. The Bereavement Support Group is exclusive to Tester & Jones customers only. Outside of the office, both Stephen and Glenys are very community focused. Stephen is a member of The Rotary Club of Crowborough and Glenys is an active member of the Crowborough & District Lions Club – both very prominent organisations supporting the community. Whether you want a traditional service with a horse-drawn carriage or something more modern such as a motorcycle hearse or a burial in a Natural Burial ground situated in this area, or just to learn more about funeral plans, give Stephen or Glenys a call to discuss your requirements and they will be happy to make arrangements or answer your questions.